James is the Managing Director of the Royal Philharmonic Orchestra and most recently has overseen the appointment of Maestro Vasily Petrenko as the Orchestra’s next Music Director. Prior to this, James spent nine years with the Philharmonia Orchestra (London) as Director, UK Programme and Creative Projects building and expanding the Orchestra’s UK Residency programmes and commercial work. 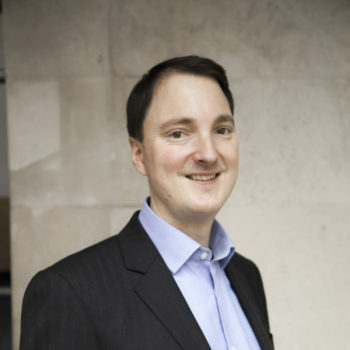 In 2014, James directed iOrchestra, a two-year ground-breaking audience development, education and digital project in the South West of England which engaged over 122,000 people with orchestral music. James’ passion for music education has seen him hold posts with the Royal Northern College of Music and Yehudi Menuhin’s charity Live Music Now, bringing music to disadvantaged communities.